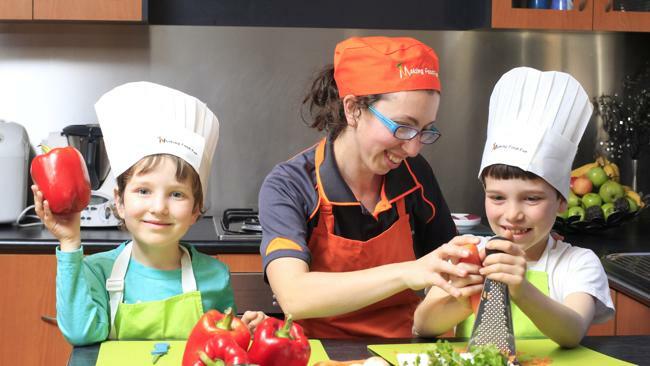 ​Hi, I'm Kate, mum and dietitian, on a mission to get kids to love veggies - without pleading or pressuring. Together with my own children, we created What If Vegetables Were People so that children worldwide could have a positive and fun experience with colourful veggies! Children need multiple exposures to vegetables to help them learn to enjoy eating veggies and reduce fussy eating. This includes exposure both at and away from the table. Reading is a great way to familiarise kids with foods. If you think about how we teach kids to read, we don't start with Harry Potter ... it's a journey. We first teach them the alphabet through songs, play and books. It's time to do the same thing with food education. he book is now written and illustrated but we need your support to bring this project to life. We will be using the money raised to pay for a graphic designer to make it print ready and to pay the printing costs of our first print run. 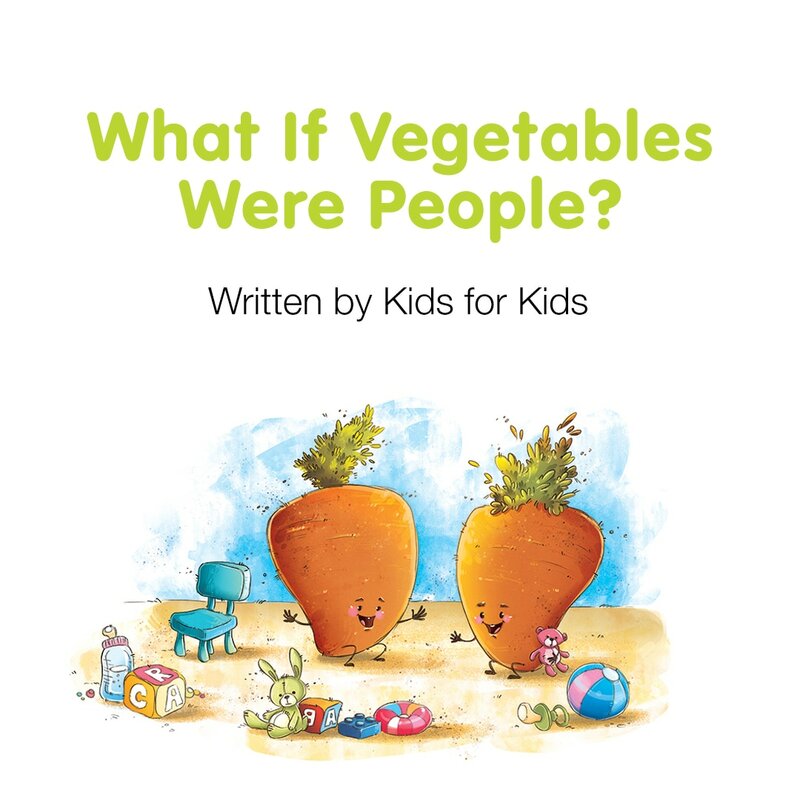 Please help us get What If Vegetables Were People into homes, kinders, libraries and schools around the world, so kids everywhere can have a positive food experience, through this first-of-its-kind book! You can make a pledge, or pre-pay a copy of the book for yourself... or buy multiple copies as great educational gifts to arrive in time for Christmas. Please support us in bringing this book to life and raise veggies loving kids! Pledge here: https://www.kickstarter.com/projects/937734237/what-if-vegetables-were-people? We'd love it if you would share it with your friend and family too! Do you dread or love dinner time? I used to find myself panicking before even sitting at the table, obsessing over whether and how much my kids ate and spending my time coercing them to eat what I’d cooked. Then one day I decided to relax, enjoy my dinner and my family’s company. I can sit and enjoy my meal even if the others don’t want to, why should they ruin my dinner? And they quickly learnt! From then on I have had a much more enjoyable time (and so have they) and I was able to get more adventurous with my cooking (and my kids are getting more adventurous in their eating too). I encourage them to try but I no longer criticise myself if their eating is less than perfect. It’s a journey, they will learn in time. Firstly you need to eat with your kids at the table and turn the TV off. Creating a nice supportive environment where you can role model healthy eating is one of the biggest predictors of children’s diet. At least one parent should sit and eat with the kids at least once a day. If you currently feed the kids dinner early and eat later with your partner, it’s time to change (harsh, I know but you can still enjoy your partner’s company while they eat). And if you currently cook different meals for the different dinner sittings, now is the time to give yourself a break and cook one meal (you can combine food kids love with new foods to make it less scary for the kids). Secondly set some family table rules. Teach your kids to sit at the table and chat, preferably even once they have finished (this may improve with age but start to encourage it). Involve them in the setting the table (they can choose some nice plates, maybe some napkins) and the cleaning up. Most importantly teach them the food politeness rule. Lastly create a loving and calm environment which encourages kids to try new foods and ultimately enjoy healthy foods. They can learn that healthy food is fun and enjoyable, not about being gruffly told to “eat your veggies”. Stop the nagging and start talking about your day and the food. Forget bribing but remember marketing. Use descriptive words like crunchy, sweet, colourful and fresh. Encourage kids to not just taste and food but see it and smell it as well. Sell healthy foods to your kids by explaining fish is brain food for tomorrow’s test, that green foods help you jump high and veggies of the traffic light make you a faster swimming. I often have nights where one of my kids tells me they are not going to eat. We ask them to just sit and wait at the table. Ask them about their day. Talk about how delicious the meal is. Usually within a couple of minutes, they start eating and I smile to myself. How do you create a fun family meal time? Now that it's school holidays, I want to take some time to do some activities with my kids that support the things our family value. Here's what's on our "to do" list these school holidays. Spring is here so it's time to replant the veggie garden. I have to admit that I don't have a particularly green thumb but I try hard, I'm learning and I believe in having a go at things! Growing veggies is a great way to get kids invested and interested in fruits and veggies. I remember my two year old son rarely ate tomatoes until we planted some cherry tomatoes in a little pot in our tiny unit. They are now one of his favourites! Choosing what to plant can also be a great activity. Funnily enough, my kids favourite part is always measuring out the distance between the seedlings and of course watering! Invest in a little watering can that is appropriately sized to your child. My 4 year old even likes to water the garden with his water pistol! - and of course lots of GLOW foods (colourful veggies. Aiming for half the dish or plate to be different coloured veggies). I also like to take them shopping to the green grocers or market. They can be involved choosing the colours for the week (both fruit and veggies). This gives them the chance to interact with fresh produce away from the table. It's not about eating or tasting, it's about becoming familiar and comfortable with fresh produce. Learning what a ripe avocado is, smelling the cantaloupe to see if it's ready and checking the bottom of strawberry punnets for the best ones. I usually let them each choose something to eat as a snack after shopping, that's how my son first decided he liked raw mushrooms! I'm looking forward to the time when my boys can cook me dinner but in the meantime, it's together cooking for us. From fruity baking (see our super snacks for inspiration) to lazy school holiday breakfasts (berry pancakes anyone?) to helping cook dinner (dinner recipes), cooking together is a lovely way to spend time together, get a 'chore' done, teach valuable life skills and create colourful and adventurous eaters! So enjoy getting fresh and colourful with your kids these school holidays. What fresh activities do you enjoy doing with your kids? Share in the comments below or join the conversation on our Facebook page. This rule comes in handy when starting the experimental food phase with a toddler. Kids at this age tend to jump to extremes and exclaim they ‘hate’ certain foods, but it’s important to create a really positive vibe around food, particularly healthy foods, during this critical phase of establishing habits. The food politeness rule is very important to older children too, especially those who are role models to smaller siblings. We want our kids to keep trying and re-trying foods until they learn to like them. Being nice to food helps to create a positive vibe around the dinner table, creating a supportive environment for your children to try, eat and enjoy. If kids do feel the need to express themselves regarding a new food they’ve tried, then encourage them to be descriptive instead, whether they like the food or not – is it crunchy or soft? Sweet or sour or salty? This works best with mum and dad setting the example. Talk to your kids about their five senses and describe the foods in a positive manner using these senses. Talk about the colour and smell of foods, does it make a crunching sound when you bite it as well as the mouth feel and taste of the food. If the child eats a food they love, encourage him to sing it too the world! This apple is so sweet and crunchy! This vegetable lasagne is so colourful and delicious! And if you really don’t like it and can’t say anything nice about it? Then take some advice from Bambi’s Thumper and “don’t say anything at all”. When teaching this rule, have fun with it. Practice with the kids. I get my kids at home and in cooking classes to take a bite of their favourite food on the plate and tell the whole table. Then we all take a bite of something that’s not our favourite and smile, cheeky grins and all and say nothing. The kids love it! If your child still uses the words “yuck” or “hate” then nicely explain to them “ooops, remember to be nice to your food” or as my older kids prefer the rhyme “don’t be rude to food”. Creating a positive vocab around healthy food is also essential to engage kids at a level they understand and maintain a fun vibe in the kitchen and around the dinner table. Your family can even create its own words and phrases surrounding healthy food. For example you can refer to vegetables as colours – it’s about eating as many colours as you can. Meanwhile, fish might be ‘brain food’ or ‘smart food’, essential for that math’s test or assignment. Time poor? Want nutritious meals on the table fast? Can't be bothered cooking every night? This post is for you!! I believe that anyone can cook. I believe that colourful foods are quick to cook and delicious to eat. Whether you love cooking or not, cooking for a large family or just yourself, getting healthy meals on the table should be easy. And one way to achieve this is through my magic pudding. The magic pudding is a dish you cook in bulk that can be eaten throughout the week, or frozen. You make one big pot and then turn it into 5 different meals. When thinking about your base dish make sure that it is jammed packed with lots of different coloured vegetables (some red, orange/yellow, green, white/brown/purple) and a protein source (beans, eggs, fish, chicken, red meat). 5. Riso al Salto (like a pancake or fritter) - heat some oil in a pan. Add some risotto, flatten and cook until golden, flip and cook the other side. Fill your plate with lots of colourful fruits and veggies - aim for half of your dinner plate to be colourful veggies. More about colours. Make a couple of magic puddings for your freezer. Also keep frozen veggies and berries so you never run out of colour! More freezer ideas. What are some of your favourite magic pudding recipes? Whether you are an office manager trying to commence a wellness program to increase productivity and reduce sick days. Or a teacher aiming to improve kids lunchboxes so they have better focus in the afternoon. Or a mum, wanting her kids to eat more healthily so they can shine.... the key to helping others is to engage them. 1. Tell them what's in it for THEM! People often get so focused in the WHAT of healthy eating that they forget the WHY. What's in it for them NOW? For adults motivation is often found in looking and feeling good. Having energy at the end of a busy work day. Playing social sport. Energy to play with kids and grand kids. For kids it's usually about running faster, jumping higher, becoming a better reader or faster at times tables. Get people involved in the planning of healthy events. Ask your staff what they are interested in. Involve parents in creating a nutrition policy at your school. At home, involve your kids in choosing what veggies should go in the salad. 3. FUN! Make it FUN! Never preach or plead nutrition. Make messages and healthy programs FUN! People learn more when they are having FUN! Ask yourself, did the participants enjoy themselves? Create a fun and funky staff room for staff. Find fun nutrition games to play with your students. Create relaxing and fun mealtimes. Being a dietitian with a Simpson loving, fussy eating husband, I am often taunted with this song. And you know what... I couldn't disagree more. A friend is supportive and helpful.... Veggies are supportive. To support the environment we need to eat more of a plant based diet. By upping your salad and reducing your meat a little, not only are you helping to create a more sustainable future for the world, you are helping your body too. Veggies are supportive to your body. They protect us from disease now and in the future. Around 11% of all cancers could be avoided if Australians ate more fruits and veggies. They prevent deficiencies, help us age more gracefully, reduce the incidence and severity of colds. Different coloured veggies (delete jargon word: photochemicals) support our bodies in different ways. Red for glowing skin and hair and healthy blood, purple for memory, green for your insides and orange for your eyes. Increasing veggies supports a healthy weight as they are high in nutrients but low in calories. A friend makes you feel good about yourself.... veggies are full of vitamins and minerals which help our body access energy from the food we eat. More energy to do the things you want to do, function at your peak at work and at play. Try a variety of dressings. Add nuts, seeds or a little feta to make it a bit fancy. Try BBQ salad (red capsicums, mushrooms, asparagus, corn). See below for ideas. A friend deserves a second chance (especially in the best dressed category)... Don't be too quick to judge. Give different salads a chance. Dress them up with yogurt or vinegar based dressings (you can add a little olive oil). Unlike a friend (hopefully)....salads can be cheap... see what's cheap in the green grocers or try a fruit and veggie delivery. Cheaper veggies are in season, better for environment and full of nutrients. How to make friends with salad? Be organised. Stock the fridge, cupboard and freezer with delicious salad ingredients. Find more ideas here. You can cut up veggies for the week on the weekend. Or make a couple of salads in a jar and take one each day. Buy enough salad to last the week. Variety - don't get bored. Change your salad ingredients (there are so many to choose from). Top with a variety of dressings. Try different salads. Google recipes, ask friends. Try warm roasted veggie salads in winter and raw, fresh salads in summer. Try serving a deconstructed salad with a dip. Hummus and tzatzki are some of my favorites. Keep it simple, make it delicious. Simple salads, rainbow salads. I like my salads simply topped with balsamic. Quick, easy, healthy and friends! It is common that when I walk into a workplace staff quickly rush around hiding the mints and chocolates in the Friday night beer fridge. Or while I talk, workers munch on free biscuits. I am pleased to see an occasional communal fruit bowl. Whenever a birthday party is being planned, I listen to parents discuss what treats there will be. I search for recipes and unhealthy ones certainly outnumber the healthy ones. School fundraisers still mainly rely on sausage sizzles and chocolates. Fetes are filled with cake stalls, fairy floss and lolly jars. It's hard to find something fresh. Whilst I'm not against the "occasional treat", especially as part of a celebration, I believe we all need to think a little before accepting the default position of unhealthy foods for every occasion. It takes just a moment of thought to create a healthier option, or at least a healthy alternative for balance. Let me share a true story. It was recently my son's 4th birthday and the kinder teacher was describing the protocol for birthdays. I was to come in and bring a cake. My issue was that we had already planned two cakes (one on his birthday and one at his party) and a third seemed over the top. I refused to accept the default. Instead of cake, we made a strawberry '4' (pictured above). The parents, kids and teachers all thought it was creative and wonderful. Not one child missed the cake. I'm not suggesting that every birthday should revolve around a flower made of celery, or that you should serve nothing but kale at your next work meeting. But...it is possible, with a little thought, to make healthy food fun and incorporate it into your celebrations and events. Part of the reason I become a dietitian is because I simply love food, both healthy foods and sometimes foods. And as Easter approaches, the combination of a long weekend and the Easter bunny often means a few 'extra treats'. So many Easter chocolates are poor quality and I'm not willing to waste any calories on cheap chocolate. When buying chocolate or choosing from your haul, go for the extra yummy but smaller portioned good quality chocolate. I must say that I do like chocolate. But is it YOUR favorite? When it comes to sometimes foods (also know as special treats or the jargon 'discretionary' foods) , you need to choose YOUR personal favourite. Would you enjoy a glass of champagne more or a warm buttered hot-cross bun? Is your favourite dark chocolate with almonds or a white chocolate ganache egg? And I mean really, really, really slowly. The best way to practice this idea is to sit at the table, tv off with a small piece of your favourite treat. First close your eyes (for now imagine you are eating your favourite Easter treat). Now take a deep smell. Next take a small nibble. Let the food or drink swirl around your month. Ohhh and ahhhh (yes I make people do this in my sessions). Now another small bite. Give it a try! You will be surprised how satisfying a little bit of your favourite treat is. 4. It's ok to say "no, thanks"
These days we seem to be surrounded by treat foods, celebrations, parties and events with sometimes foods are very prevalent. Sure, if you feel like a treat then follow the steps above and enjoy a little. But just because someone else is having something, or because it's Dave's last day, or the last day of term, or Friday, don't feel that you have to have something. Ask yourself "do I feel like this now". Remember you can always have something later. It's ok to smile and say no without feeling deprived. Just ask yourself the question "do I really feel like this now?" What will you be enjoying this Easter? I recently went to a Women's Business Network event at the City of Monash. While sitting there, attentively listening to the fabulous speaker Amanda Rose as she presented on having an authentic business and tips for being a woman in business, it dawned on me that her words rang true not only for women in business but also for women feeding themselves and/or their families. Here are the key messages and how they relate to healthy eating. Believe that you can do it. Whether that is run a business, learn to cook, learn to love veggies, teach your kids to love veggies. It is all possible. But it all starts with your believing you can. When you serve dinner, assume that everyone will eat it, or at least try it. And if they don't, then believe that they will tomorrow. When it comes to eating healthy food this comes naturally to me. Sometimes I may even be a little too passionate (is there such a thing?). Our kids are our future and we need to raise healthy eaters so that they can shine now and in the future. Raise sustainable, health conscious individuals who value their health and the health of their planet. Who realise that when you feed your body healthy foods (most of the time), your body will have more energy, be able to concentrate and think better and be less likely to develop lifestyle diseases. This is all true for yourself too. Be passionate about your own health. Whatever you do and whoever you are, feed your body well, you deserve it! This passion drives me to cook when I'm tired. Drives me to keep offering "least favourite" foods at dinner times (with favourites too). Ever! Never give up cooking healthy meals, never give up offering your kids veggies (even if they claim to hate them), never give up trying new foods yourself! Never give up aiming to fill your plate with half veggies. Never give up slowly eating more whole foods and less highly packaged foods. You will never get there if you give up. You have so much to gain! 4. Don't accept no for an answer! If you get a "no" I don't want to eat/try that, try again tomorrow or the next day. You may get a no to mashed pumpkin but try pumpkin soup, pumpkin bread, roast pumpkin and keep trying till you get a yes. If you tell yourself "no I can't cook" you never will try and learn! I've made plenty a disastrous meal in my time. Both Amanda and my husband say when it comes to sales "keep calling until you get the sale", well keep offering until you get the sale! And keep trying different foods yourself. If you are not a competent cook, just keep trying! People have dreams and aspirations but when people achieve those visions it is through hard work! Sometimes cooking and washing dishes is hard work, thinking of what to cook each week is draining, serving dinner and it not being eaten is hard. Learning to cook can be hard. But good things come to those who work hard! When you have the believe and the passion, it's easier to cope with the hard work.